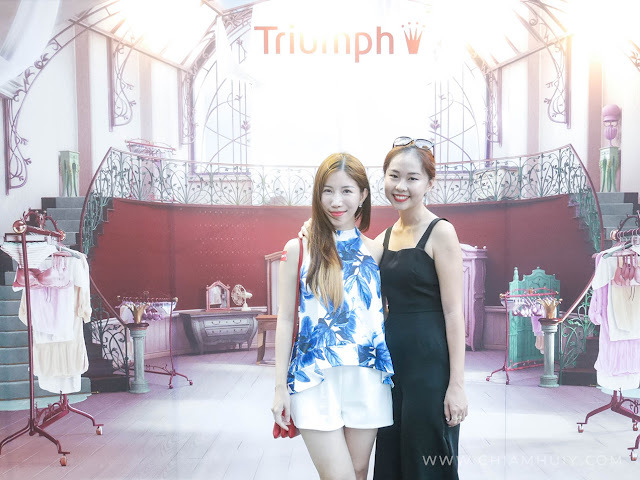 Few days back I got the news that Triumph Singapore has a pop-up store right outside Robinsons Heeren, and guess what? To celebrate this exclusive period of setting up the pop-up store, Triumph Singapore is having an exclusive promotion - trade in ANY old bra and get a Body Make-up Jacquard bra at only $20 (U.P $89.90), along with matching undies at $10!! I've already trade in mine as you can tell here, so what are you waiting for! It's time to #standupforfit and #findtheone! The Triumph promotion is until 12 Jul, share this lobang with your BFFs now!! Finding the right one and the perfect fit bra is so important, but almost 7 out of 10 ladies have failed to find the right size that fits them well. 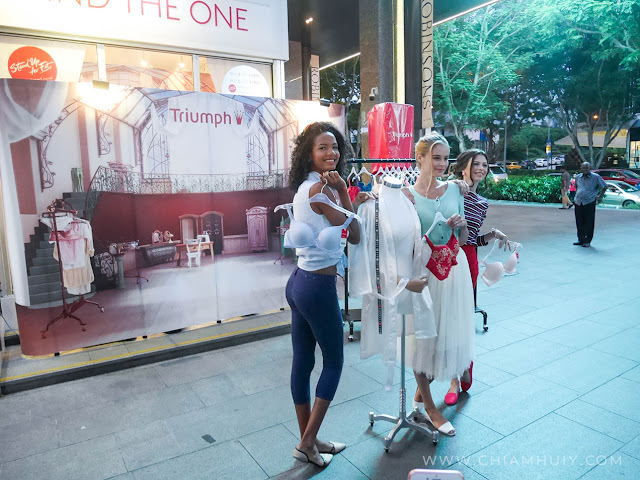 Which is why, Triumph Singapore comes with a greater mission this time: a mission to help 1 million women find the perfect fitting bra, through their #findtheone campaign. Sydney and I were happy to witness the opening of Triumph's pop-up store at Robinson Heeren. And enjoying the flash mob of the video right in front of us! The video involves three ladies in a musical dancing around as they sing along to the song. It talks about how important it is to find the right bra fit which eventually is the one! For more information on the triumph #findtheone campaign, visit here! So you probably already know, you can trade in your old bra and trade in for a new one at pretty good price. 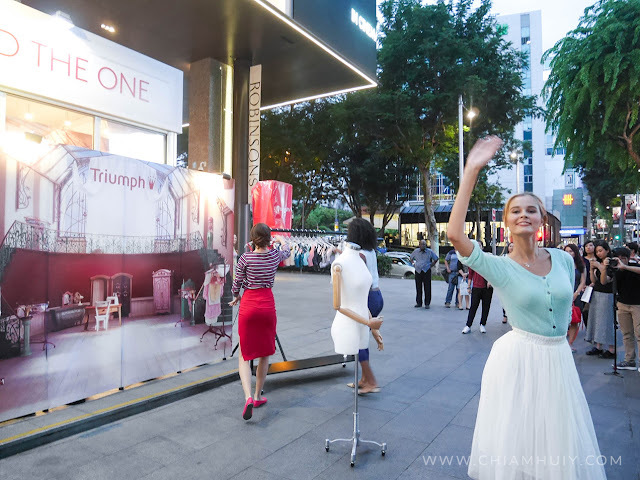 At the pop-up store, you get to be measured personally and get a chance to join in their contest to stand a chance to win $1000 triumph vouchers! To get a complete new one at an insanely good price!! The Body Make-up Jacquard bra's material is soft and breathe-able. It also comes with both pushup and non-pushup options. I'm using my own money to get another two bras! Trust me it's a good deal! Make sure you make a visit down to Triumph pop-up store at Robinsons Heeren! The pop-up store will be there until 12 Jul 2015, you only have a few days left! !